This Spanish film is an amazing example of great sci-fi made on a minuscule budget. This movie squeezes everything it can out of a tiny cast, three locations, and a deft script. 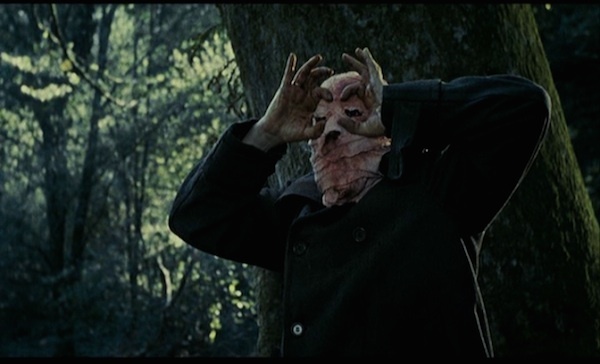 Eerie, tense, and bizarre, Timecrimes is one of my very favorite time-travel films. To describe it in more detail would be a disservice. Seriously, just look it up on Netflix Streaming and watch it. Chris Evans stars in this quasi-future-dystopian movie where some people have developed extra-sensory powers. Needless to say, shadowy government-run agencies seek to recruit, exploit, and control them. Lots of plot twists based on just how far a clairvoyant’s power can go, and just how much a brain can be reprogrammed. Chris Evans is extremely likeable onscreen, and he’s supported by a Dakota Fanning that is bitter and brittle – and very enjoyable. The whole vibe of Push reminds me so much of Hackers, one of my favorite films. Neither are great, but are just so fun and snazzy to watch. Ah man, I loved Push! I wish there was more. It would be a sweet series. I keep almost but not quite convincing myself to watch Push. Maybe I should finally give in. So, following up: Thank you for the push to watch Push. Not a great movie by any stretch, but better than expected. It’s really Dakota Fanning’s movie, though. Chris Evans is very good here, but Fanning owns every scene she’s in.